跟”了凡油雞飯麵餐廳“位於HOYII, 一樣位於台北車站捷運站M6出口附近, 也同是米其林一星餐廳. 室內裝潢為簡約, 座位雖只有高腳椅但也很舒適, TSUTA餐廳入口跟雞二拉麵一樣有投幣式機器, 簡單菜單與快速出菜率讓翻桌率頗高. Same as “Hawker Chan Restaurant”, it is located near Taipei Main Station Exit 6. 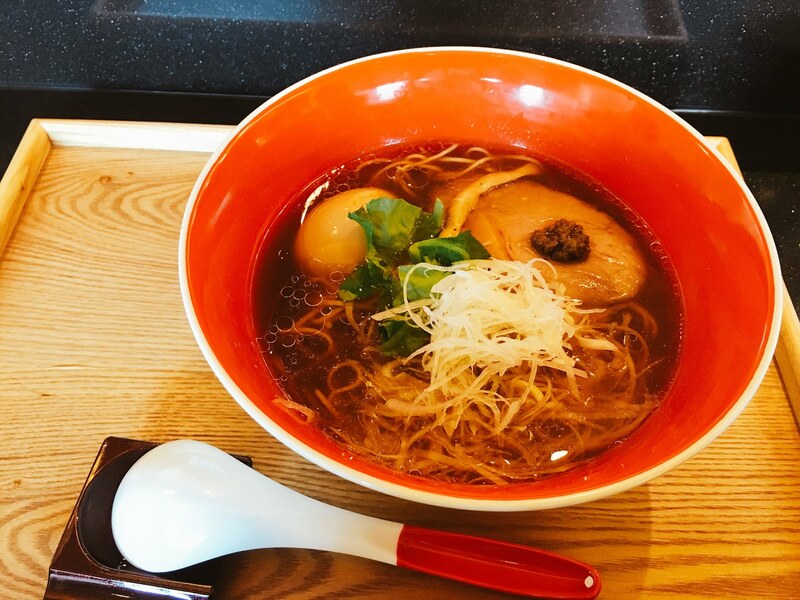 TSUTA Ramen restaurant also has Michelin 1 Star. The interior design is simple with only several high chairs. They also have ordering vending machine at the entrance just like R2 Ramen restaurant. Ordering Soy Sauce Ramen and Ice Barley Tea before seated. 亮紅色的碗中裡擺設簡單, 碗中最顯眼非松露醬莫屬, 品嚐一口, 心裏想著“對, 沒錯, 這就是蕈菇類該有的濃烈香氣”, 勺起一口原始的湯頭, 可先聞到蛤蜊的海鮮風味, 喝下一口發現全雞湯頭已覆蓋住TSUTA的秘密醬油配方, 魚介與雞湯沒有所謂的配角, 湯頭攪拌松露醬後,反而多了一層溫和類似香菇風味, 熱湯越喝到最後, 菇味跟魚介風味更加濃烈. 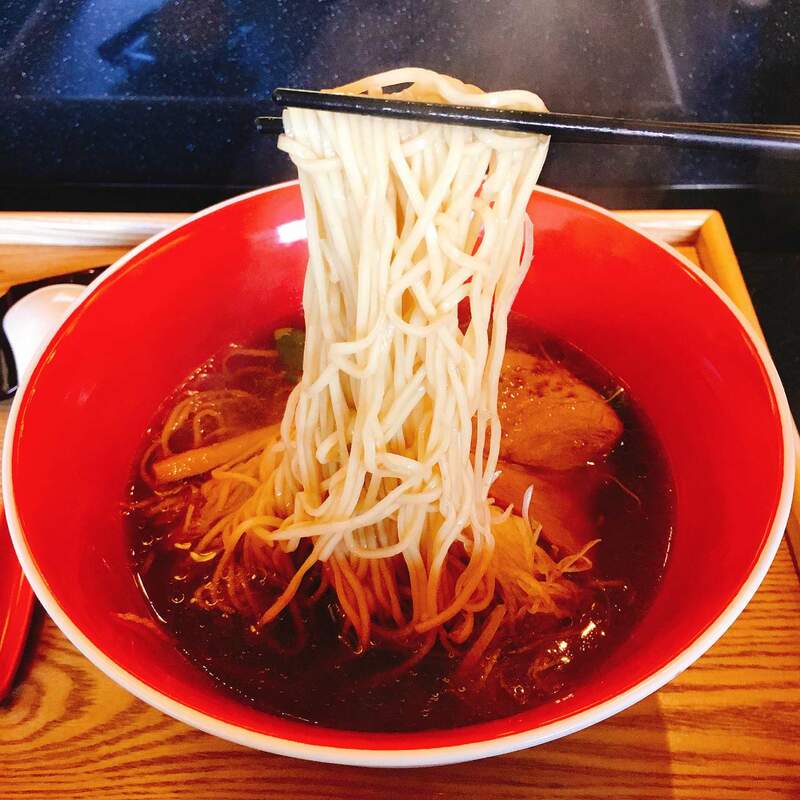 Simply Ramen dish is displayed inside the bright red bowl. The most eye-catching item would be the black truffle sauce. The truffle sauce has strong mushroom aroma. 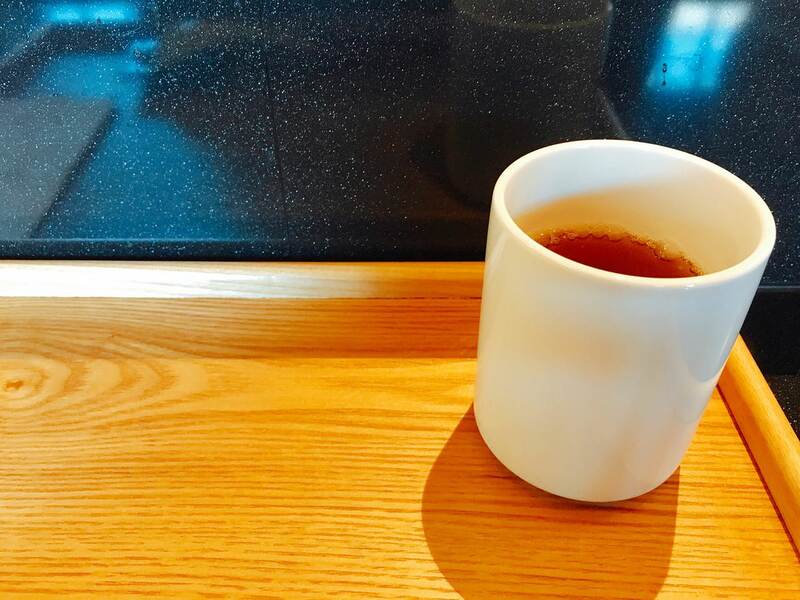 Before taking one sip at the original soup broth, you can sense the strong clam flavor. Both chicken broth and seafood flavor seemed to cover TSUTA secret recipe soy sauce. After mixing the truffle sauce, the soup base add more complex flavors – hint of mushroom flavor. 跟東京油麵裡的叉燒薄片一樣, 皆是用手工切片機器, 單吃雖無強烈肉味但有鹹味. 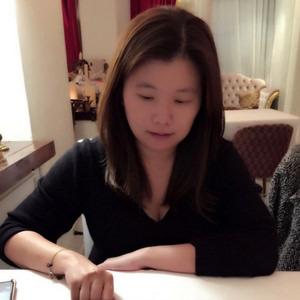 麵的部分偏軟, 但是由於是店家自製麵條, 主廚已測試過最佳狀態, 事實證明TSUTA的麵條配湯頭恰到好處. 日本料理稱生蛋為”卵”, 煮過的蛋是玉子, 味玉則是調味玉子, 其實就是半熟蛋, 咬下一口誘人的半熟蛋, 蛋黃緩緩地流出, 本來想加入湯裡, 但口感軟嫩, 一不注意就把它吃完. 值得一提的是洋蔥絲和三葉芹, 洋蔥絲是增加不同的口感, 三葉芹則是像豚骨一燈的香菜一樣來Highlight 魚介雞湯. 至於麥茶 ($30) 的部份, 純粹天氣熱想喝, 但可以隨時加茶. 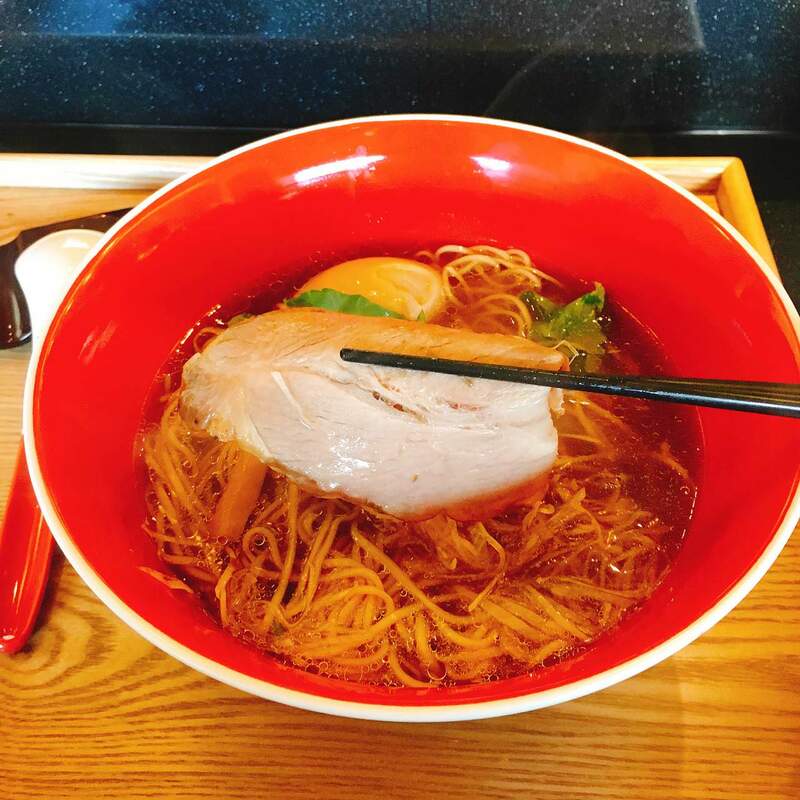 The Same as Abura Ramen’s pork, the chef uses hand-cut machine. There is no strong meat aroma but with only hints of saltness. 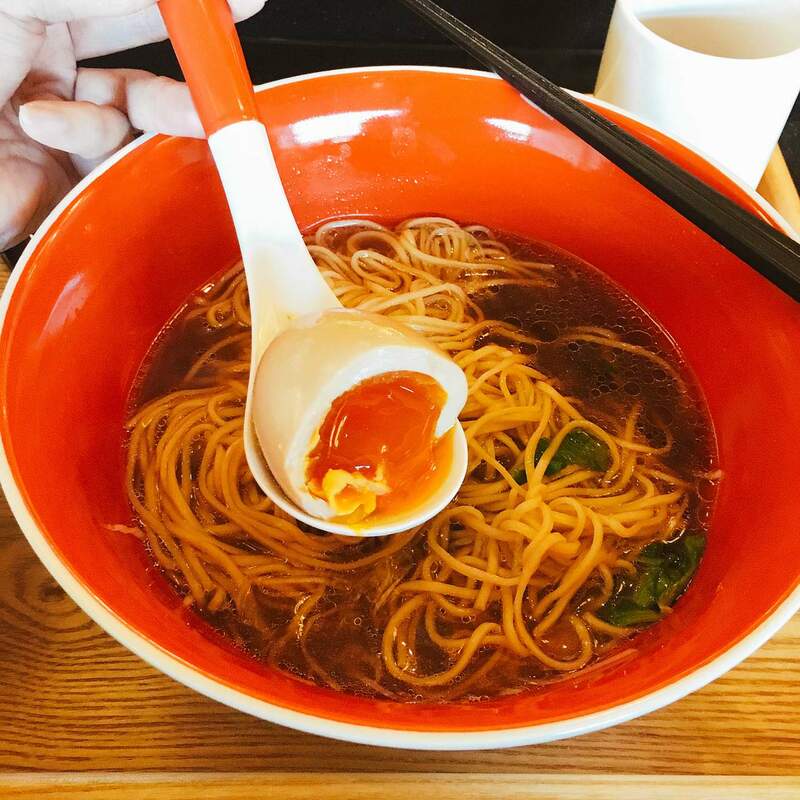 This restaurant makes their own noodle and pairs greatly with their soup half-boiled egg yolk is in perfect condition. Also, the sliced thin onion brings different texture and the celery is to highlight the broth.The Ice Barley Tea is perfect for pairing with the hot ramen soup during a hot day. 上一篇文章 野餐酒 》PICNIC WINE GUIDE 哪些酒比較適合帶去野餐?